Dental implants should be in a position to last for a lifetime with proper dental implant placement. In modern cosmetic dentistry, dental implants are the most controversial and sophisticated type of treatment, for this reason, it is important to look out for the best Dentists Implants to carry out the procedure. Unlike some of the other cosmetic dental treatments, this type of treatment requires some specialty as it involves surgery. Before choosing on Dentists Implants you should carry out your research well and gather all information that pertains to the procedure including the costs, the side effects, chances of failure and the after care services. Try as much as possible to invest your time in this as it will prove worthwhile in the end. The first stage of dental implant placement is the consultation stage. At this stage “dental x-rays”, are obtained and the area where implants will be placed is evaluated so as to make sure that the quality of the bone is good and quantity of the alveolar bone is sufficient to support a dental implant and any forces that will be exerted on it. This determines the dental implant process that you are going to undergo. 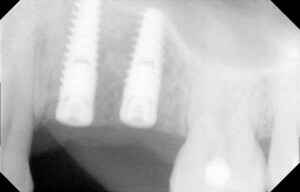 After the evaluation, if it was found that the conditions are favorable for same day implant placement, the procedure can be completed. 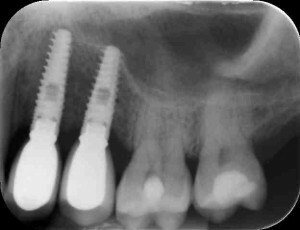 The Dentists Implants is placed in the jaw and allowed to heal and integrate with the surrounding bone. The time it takes for a dental implant to integrate with the surrounding jaw bone (alveolar bone) varies from patient to patient depending on health of the individual, quality of bone, location of placement and oral hygiene of the patient. But if the conditions do not favor immediate placement of dental implants after extraction of teeth, bone graft is placed and the area is sutured and allowed to heal. After the healing is complete, dentists from Brighton Implant Clinic approve that the site is ready for placement of dental implants. the average time for an extraction site to heal and be ready for implant placement is about 3-4 months but will also vary from patient to patient. The next part Dentists Implants begins just after jaw bone is completely healed. 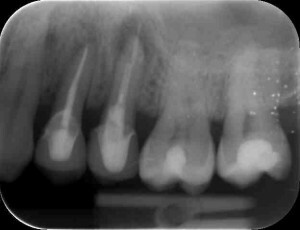 The implant dentist would restore the implant by creating a hole in your gum leaving the implant exposed. An abutment is fixed to this exposed top portion of the implant, after which the dentist would fix a temporary crown model on to this abutment. Meanwhile, measurement of your teeth structure is taken in order to construct the permanent prosthetic tooth that matches the color, shape and size of your teeth. The temporary tooth will be removed and replaced with the permanent one after your dental implant has healed completely. This will be the final stage of dental implant placement ; you will receive after-care services from your dentist.